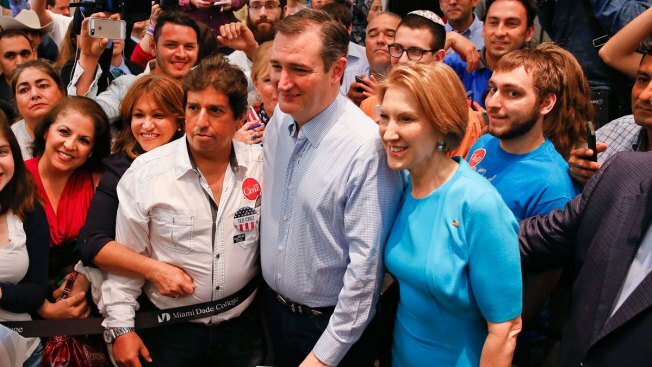 Republican presidential candidate, Sen. Ted Cruz, R-Texas, and Former Republican presidential candidate Carly Fiorina pose for photographs during a campaign rally in Miami, Fla., Wednesday, March 9, 2016. Carly Fiorina endorsed Ted Cruz for president at a rally at Miami Dade College on Wednesday, calling him a "fearless constitutional conservative." The former Republican presidential hopeful roused a chorus of boos from the crowd when she mentioned front-runner Donald Trump and referred to the billionaire businessman and Democratic front-runner Hillary Clinton as "the system." "Here's the thing. The truth is that Donald Trump and Hillary Clinton are two sides of the same coin," she said. "They aren't going to reform the system — they are the system." She added that the "only guy who can beat Donald Trump is Ted Cruz." Fiorina ended her campaign in February after failing to earn enough votes in early voting states to take on leading GOP candidates including Trump, Cruz and Marco Rubio. "Ted Cruz should be known, is proud to be known, by the enemies he has made in the D.C. cartel," she said at the rally. Cruz said he was humbled by Fiorina's endorsement then went on to criticize Trump. "It's easy to talk about making America great again," Cruz said. 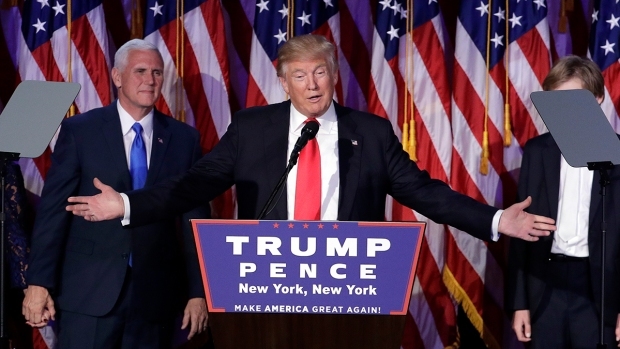 "But the real question is do you understand the principles and values that made America great in the first place?"